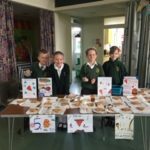 Maths Mastery Week a resounding success! Last week the children were busy taking part in our ‘Maths Mastery Week’. 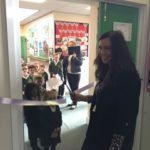 The idea behind the week was to inspire and engage the children in developing a greater understanding for the importance of maths and how it plays a great role in our everyday lives. We were fortunate enough to have parents visit the school and present to the children about how important maths is with their jobs. On Tuesday we had Mr Scadeng a pilot, Wednesday Mrs Tilson an accountant for a computer gaming company and on Friday Mr Edwards a fire fighter. The highlight of the week was our Mastery Market on Thursday. 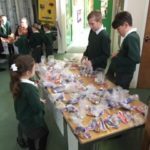 Each class developed a product to sell with a £20 investment and from there the children had to work out the most efficient way to make the most profit. There has been a really positive buzz about maths around the school this week and the chidren have really opened their eyes to how maths is in our everyday lives.